The cafe at the new Barnes & Noble at Kean University bookstore in New Jersey. College life and good food choices are seldom mentioned in the same sentence, yet when it comes to snack and convenience options now available on campus, things are definitely changing. While the popularity of mainstays such as Doritos, Chex Mix and Pop Tarts is unlikely to fade anytime soon, millennials are bringing a broader choice of preferences to college food. Whether it’s a healthy meal or a grab-and-go snack, it’s the job of college bookstore food buyers and store managers to keep apace of the trends that appeal to students. For the busy student on the go, an oversized bag of chips one might find in any typical grocery aisle isn’t going to fit the bill. 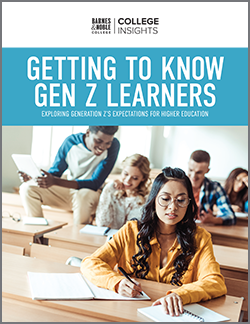 “Format has always been important,” explains Lisa Shapiro, Director, Cafe & Convenience for Barnes & Noble College, “and if you can achieve that sense of convenience into a product and combine it with a trend, then you’ve got a popular item,” she says. As an example, Shapiro points to snack bars, always a popular segment on campus, and when Clif Bar & Company introduced a pumpkin pie flavor for the fall season, it sold out immediately. “Those kinds of taste trends are always going to resonate with students,” she says, likening food to the fashion industry as a style leader. “Students like the statement of a brand in their hand, and a Starbucks cup or a bottle of FIJI water are always going to make that statement,“ she adds. 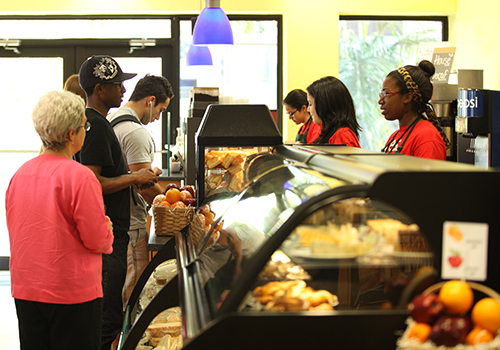 Customers select from a variety of fresh food items for purchase at the FIU Cafe at Florida International University. Flavors are also in style this year with the ever increasing appeal of Greek yogurt products and newer, more unlikely food combinations such as Kale Chips and Chick Pea snacks. Taste profiles have shifted from the perennial savory and salty flavors to now also include bolder tastes. And when Pringles launched a convenience packaged chip-and-dip combination, the most popular flavor choice on campus by far was jalapeño. 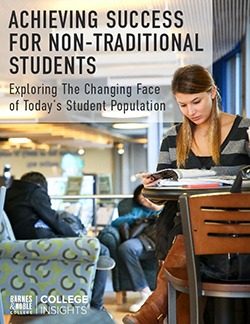 “Today’s millennial student has grown up with a greater awareness of other cultures and other foods, and that’s informed them with a spicier, more varied flavor profile,” Shapiro explains. Illustrative of the preference for hotter and internationally inspired flavors has been the trendy Thai chili sauce, Sriracha, which has been the ubiquitous choice for a wide variety of snacks this year. That same preference for flavorful, easily consumed foods is also front and center in the self-serve bake case of Miami’s Florida International University Bookstore Café. “Some of our best-selling items are our empanadas and Jamaican patties — we just can’t keep them stocked,” explains Mike Comiskey, who overseas both the second floor Café and a Recharge U on the main corridor of the Graham Center Student Union. While the Recharge U outlet represents the perfect grab-and-go venue for lunch, dinner or anything students need — from a candy bar or a six-inch sub to oatmeal — the café, by contrast, is a key communal spot on campus, with a wide choice of snacks and beverages, along with seating that includes an outside veranda. That sense of a venue with food is something that also resonates with Elaine Reed, who manages The University Bookstore at California State, Los Angeles. “We open our doors at eight in the morning and the students come in, find their spot, plug in and get a snack,” she says. 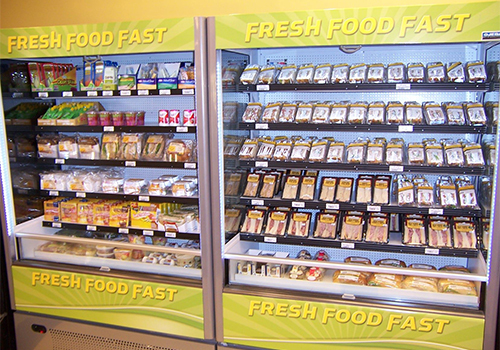 A display case in the convenience section of The University Bookstore at Cal State LA offers freshly prepared sandwiches, salads, yogurts and beverages. Not that it’s an easy task feeding the some 24,000 students who attend the busy commuter college, which is also located on one of the city’s major Metro stops. With few other food choices on campus, Reed manages two small outlets on the south and west parameters, and a Starbucks cafe, in addition to her main store. “They’re looking for fast and easy — and healthy, and a lot of drink choices,” she adds. The customers are also looking for value, and Reed says a popular menu item is the ‘Savings for Your Cravings’ choices, with a sandwich, chips and a 20-ounce drink for $4.99. 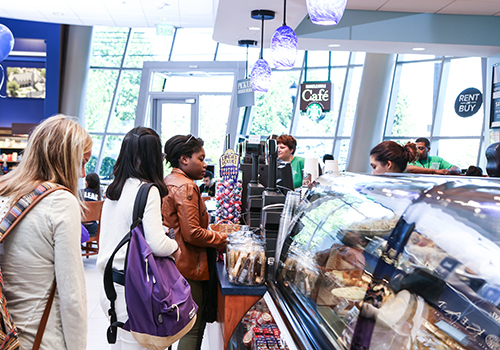 Students can also participate in the popular coffee card and free refill programs.